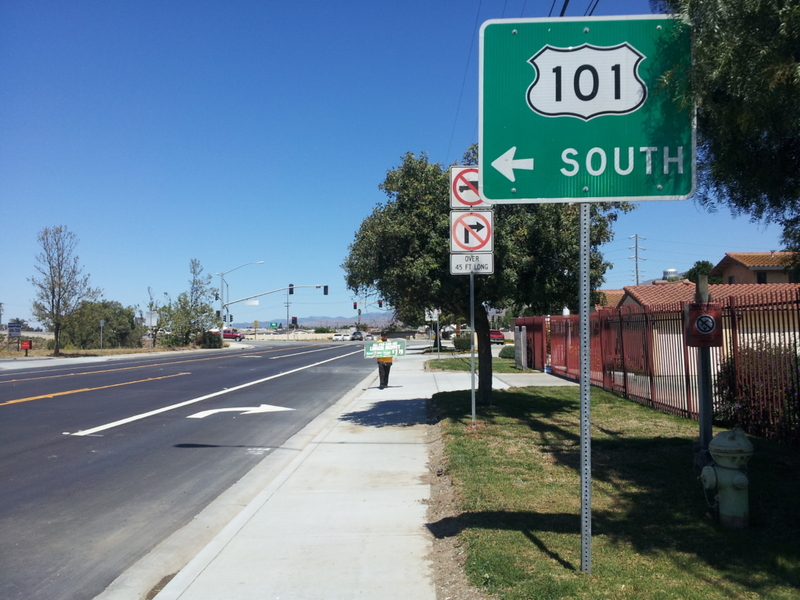 City of Soledad Front Street Reconstruction – Yamabe & Horn Engineering, Inc.
Front Street from Hector de la Rosa Street to Nestles Road was the old Highway 101 through the City of Soledad, constructed out of concrete. 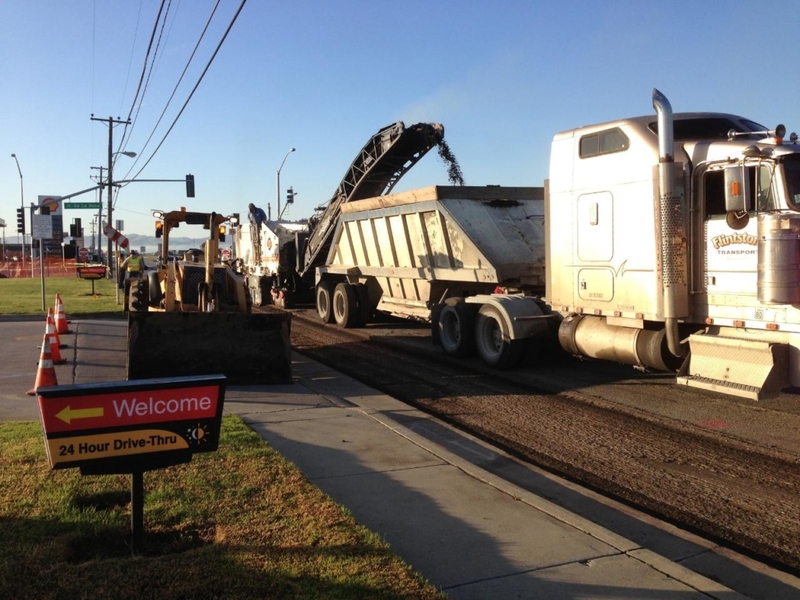 As the segment of the highway was relinquished to the City and converted into the primary business route, layers of asphalt concrete were overlaid on top of the existing concrete as the treatment choice for the pavement maintenance. Deterioration of the underlying concrete caused significant reflection of the asphalt layer, creating cracks across the entire surface, running horizontal and longitudinal to the path of the street. With its poor condition, the City Council committed to making it a beautiful gateway to the City to spark economic development that was more appealing for travelers passing by on Highway 101 to rely upon. 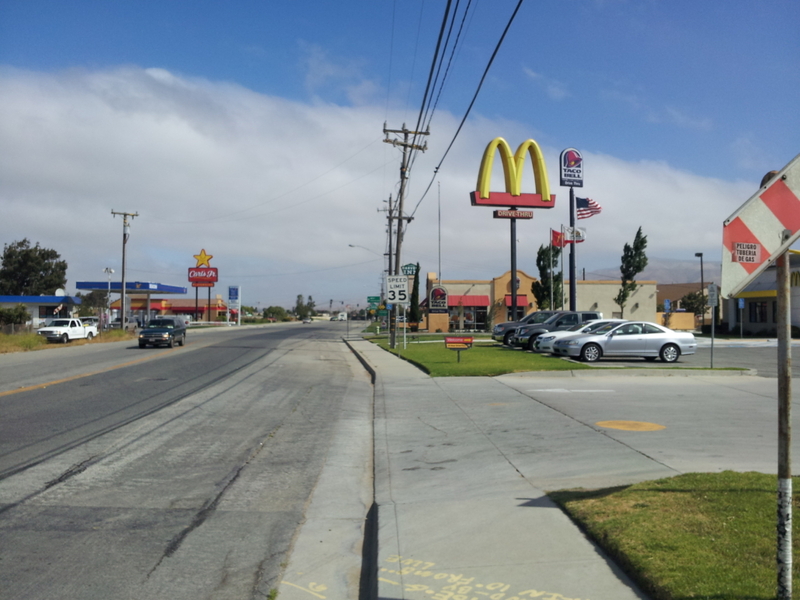 The section of Front Street for this project included high traffic national retailers, including McDonald’s, Taco Bell, Carl’s Jr, Valero Gas, and two motels. With the high volume of vehicle traffic each business generates, coordinating the construction to minimize the impact to their businesses was critical. Once the initial design was completed, Yamabe & Horn held a meeting with the owners of each business affected in the project. During the meeting, the design improvements were shared, along with the estimated timeline for the project. In the course of review, the business owners requested that the driveways to each of their businesses be closed as little as possible. This resulted in an agreement to not have any one driveway closed for more than two hours during the construction. This required rigorous management during the construction phase, but each business owner’s request was honored and the impact to their businesses was as minimal as possible during the project. To reduce the chance of future cracks being created from the original foundation shifting, an engineered paving mat was placed over the foundation before the new layer of asphalt was placed over it. This mat has a high tensile strength that delays reflective cracking, extending the life of pavement. Yamabe & Horn facilitated the bid to select the contractor and provided intensive oversight of the construction. Out of the gate the contractor was delayed due to weather and sub-contractor delays. The new timeline submitted by the contractor before the project started showed that the road would be unfinished over Thanksgiving weekend, which would have dramatically impacted the businesses along Front Street. The City postponed the project because of the delay and unacceptable conditions over Thanksgiving that would have occurred. The project was re-started in the spring of 2013 and completed on-time.